Best Facebook Tricks 2013 – Facebook is World’s Largest and Most Popular Social Networking Platform where you meet Millions of People of which Some are Your Friends,Family Members and Most of them are Strangers to You.Facebook is the Right Platform to Make new friends and Increase your Friend Circle by Chatting with Your Friends , Sharing Pictures or Videos,Tagging Your Friends in Your Photos etc and Much More.How to Download Playstore apps on PC Facebook is Listed as Second Most Popular Website in Alexa Website Ranking.We Daily Use Facebook and are very much Familiar with Basic Facebook Features Like Updating Status,Sharing Pictures or Videos,Searching Friends etc.But There’s a lot to Know Much more about Facebook to which Most of Us are Not Aware.There are lots of Tips and Tricks that each and every Facebook User should must try at-least for once to Enhance or Make Your Facebook Experience More Interesting and Amazing. Free Voice Calls From PC to Mobile You Will find lots of Facebook Tips & Tricks over the Internet But Here I am going to Focus only on the Best and Popular Facebook Tricks 2013 that You Should Try and Have with Facebook.Here We Present the Latest Best Facebook Tricks 2013.See below List of Facebook Tricks 2013.Facebook Tricks 2013 Includes the Best and the Top Quality Tips & Tricks that each and every Facebook User Should Try. 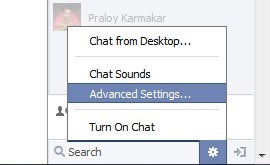 Facebook has recently Included all new Seen Option in Facebook Chat that allows Users to Know whether the Message You have Sent to Your Friends is Seen by Your Friend or Not.Though it is a Very Good Feature but it creates Problem for You When You Don’t want to Reply to Your Friend or Want to Ignore his Messages since because of this Seen Option your Friend will easily Know that You are Ignoring his Messages.How to Play Android Games on PC Therefore Here below is the Trick on How to Disable Facebook Seen Option in Chat. 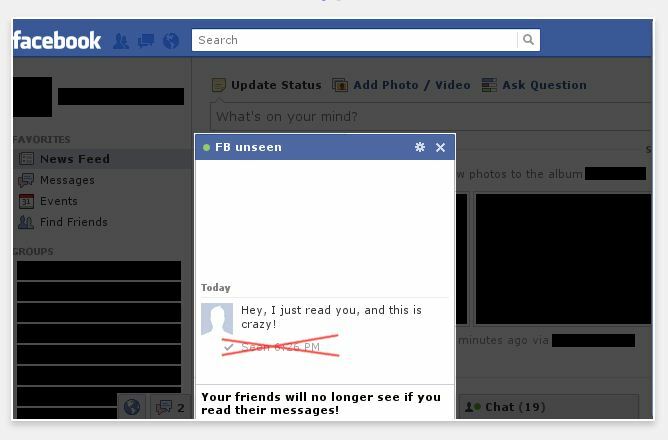 To Disable Facebook Seen Option in Chat You Just Need to Download an Unseen Extension For Your Web browser and it will Completely Disable the Seen Option in Your Facebook Chat. 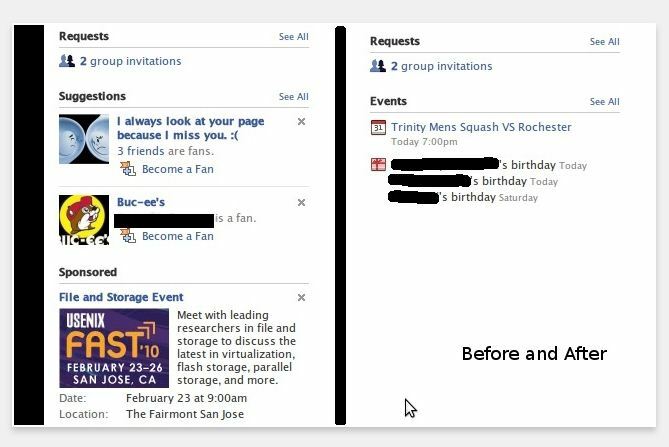 Have Your Ever Thought of Updating or Posting a Blank Facebook Status in Your Profile ? – Though Facebook Doesn’t allow you to Update or Post a Blank Status But You Can Do by Using Some Tricks as Listed below. Login to Your Facebook Account and Paste the Code in Your Status Box – @[3:3: as shown below in the Image. Note – If You want to Increase the Length of Your Blank Status You Can Type the Same Code in the Following way.The More You add the More the Length will Increase. You can Easily Block or Remove the Facebook Advertisements shown at the Right of Your Facebook Profile.Use Facebook Cleaner to Remove Your Facebook Ads from being Displayed in Your Profile.Download Facebook Cleaner Script or Else You can Download Chrome Extension From Below. Facebook allows Us to Set Our Account or Profile Picture as Public or Private Mode.If We Use the Private Mode and Select the Privacy Settings as Visible to ‘Only Me’.Therefore We are not able to See their Images in Full Size Mode.See below for Detailed Instructions. Go to The Timeline of the Person whose Profile Picture You want to View in Full Size. Right Click on the Profile Picture and Select the Option ‘Open Image in a new Tab’ as Shown below in the Image. Now Remove the s160X160 from the URL as Shown below in the Image. Go to Facebook2.zip and Login to Your Facebook Account. Now Choose Friend from which you want to Download the Photo Album. Next Select the Album you want to Download. Click the Download Button and Select the Saving Location. 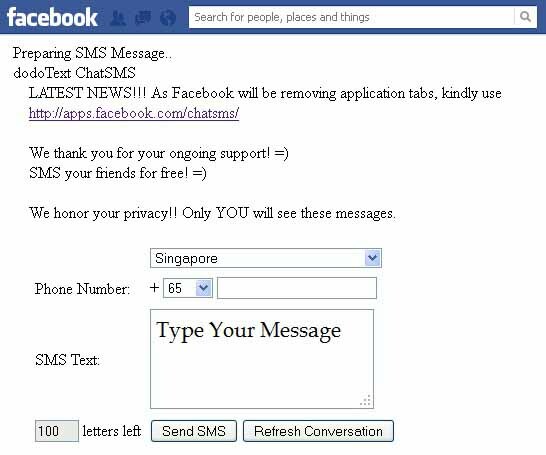 You can Send Free SMS to your Friends anywhere around the World with no restrictions at All.Directly Sends the SMS to Your Friends Phone very Quickly .To Send Free SMS you have to Use the Facebook Chat Application. 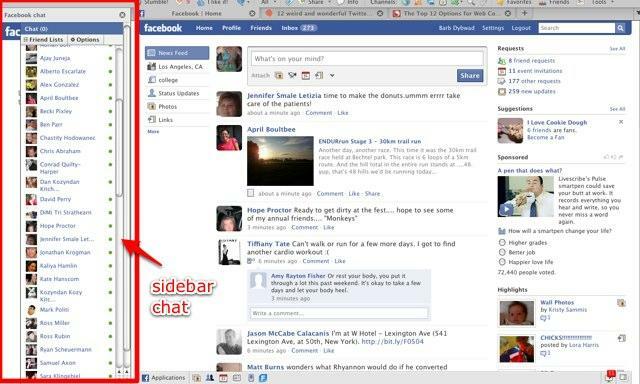 Go to Facebook Chat Application and it will look like as shown below in the Image. Now There Select Your Country. Type Your SMS Text and You are all Done. Note – You Can Send Only 4 SMS Per Day of Length 100 Each Only. Open Facebook Login Page in Your Web Browser. Paste the Following Code in Your Address Bar by Replacing Facebook Address. When I listened about Watching Live TV on Facebook I was Totally shocked and Amazed for a Moment But Yeah You can Really Watch Live International TV Channels Streaming in Your Facebook Without any Cost which means it is Totally Free of Cost.You Can Even Watch Your Favorite Sports or Olympics Here. By Default Facebook Provides you the Option to Send Smileys to Your Friend in Your Chat But You can also Send Pictures or Photos from Your Facebook.So Here’s the Trick to Send Pictures From Facebook Chat. Upload the Photo You Want to Send and Wait For Few Seconds till the Code is Generated. You Will See a Code Generated There as Shown below in the Image. 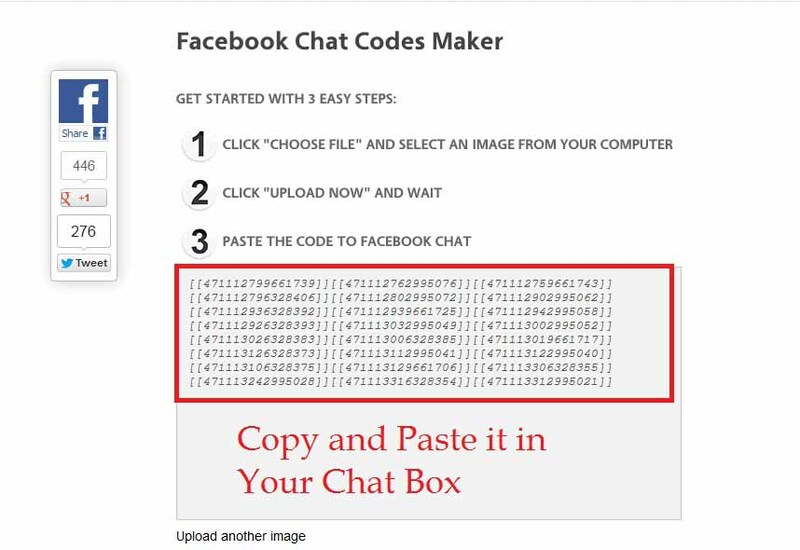 Copy and Paste that Code in Your Facebook Chat. That’s all and Your Picture will be Delivered to Your Friend. Here Paste the Facebook URL of the Video that you want to Download. Ask Them To Click any One of the Photos There. Your Friend will See a Scary Ghost Image Coming out Surprisingly. 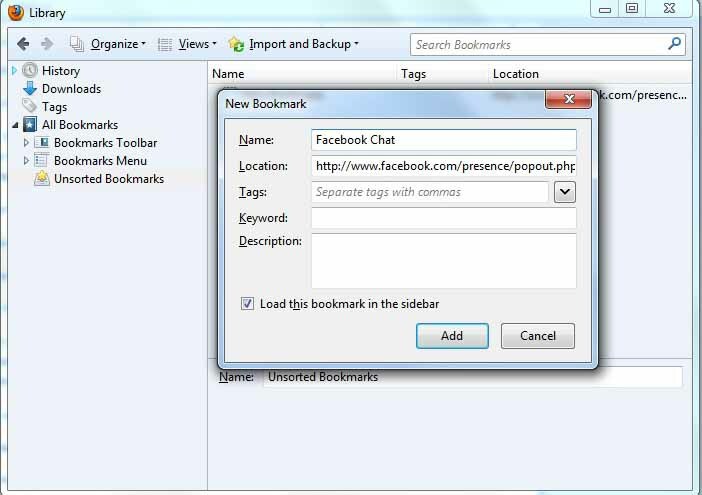 It Becomes Difficult to Do Chat as well as Browsing in Your Browser Simultaneously.So Here we Present any Easy Trick that will help you Manage Your Facebook Chat and Browsing Simultaneously Easily without Any Problem.Just Follow the Below Steps. Open Your Mozilla Firefox and Press ALT Key. Click on Organize and Select New Bookmark. Check Mark the Box Load this Bookmark in the Side Bar as Shown in the Image. Select the Bookmark ‘Facebook Chat’ From Unsorted Bookmarks List. That’s all and You are all Done as Shown below in the Image. With the Help of Pixable You can Create Your Own videos by Using Your Facebook Pictures. Use the Unfriend Alerts Extension to Check Which of Your Friend have Unfriended You or Deleted from their Friends List. 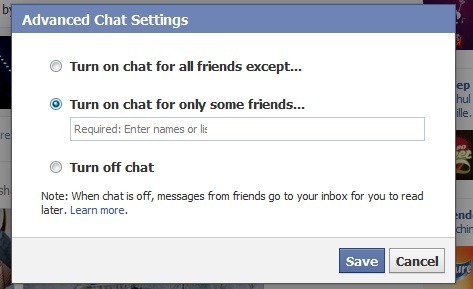 Sometimes we require to Chat with only Limited Friends and thus disabling the Online Option for Other Friends.Facebook Now Includes this Option to Enable Online For Only Limited Friends of Your Choice. Click on the Gear Icon Located at the Chat Bar. Click On ‘Advanced Settings’ as shown below in the Image. There Select ‘Turn on Chat For only Some Friends’ and Select the Friends to Whom you want to Enable Chat. Facebook Provides two Options Either Deactivate Your Account or Delete it Permanently.However Most of Us are not aware of Deleting their Accounts Permanently Forever So they End Up by Deactivating Their Facebook Account.So If You want to Delete Your Facebook Account Permanently Visit Here. That’s all in Best Facebook Tricks 2013 and will Continue to Update the Latest Tricks whenever I got to Know about them and If you know some Interesting Tips or Tricks that I have Forgot to Mention Here Feel Free to Share your Tricks Here.